quoted from the 1.0 release blog post. Indeed a nice surprise and definitely a big step forward with the inclusion of online multiplayer! As usual you can download the game here. Also don't forget to head over to our forums to provide some feedback to the developers. The hide-and-seek simulator The Dark Mod (TDM) has had a new release as of last week. For those who don't remember, TDM is a Doom 3 mod-gone-standalone that aims to recreate a similar game experience to that of Looking Glass Studio's Thief series. It is known amongst both stealth game aficionados and free software enthusiasts as a project of exceptional quality, with a dedicated community of content creators. The latest release 2.07 focuses on stability and performance. Since we last reported on this amazing project, the game has progressed leaps and bounds both in content and quality. 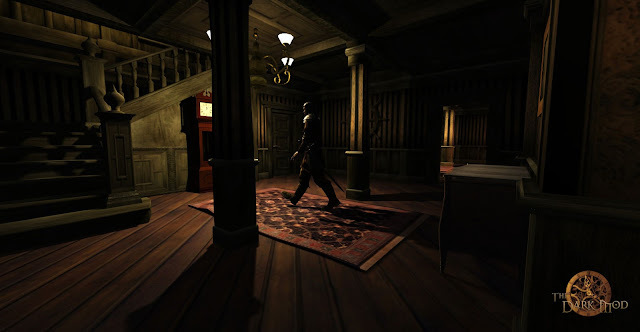 The extensive loading times and performance irks that plagued the initial standalone releases, from the project's early emancipation from Doom 3 game asset and codebase requirements, are now mostly a thing of the past, and are set to be improved even further, as multi-core support has finally been added to the engine (albeit as an experimental feature). Future updates will bring the game to OpenGL 3.3, transferring processing power from the CPU to the GPU. On the graphics department, the implementation of advanced shadow maps promise near real-life shadow behavior. Improved antialiasing will generally upgrade looks for those with more powerful machines. The release has also seen the addition of more Creative Commons licensed assets (under CC BY-NC-SA 3.0) and map modules, which are free to use in either TDM fan missions or in any other mod or game project. Many fan missions are available under the same license, with incoming releases almost every month. They can be downloaded through the in-game GUI or by accessing the mission portal. For further information you can access the full changelog here. 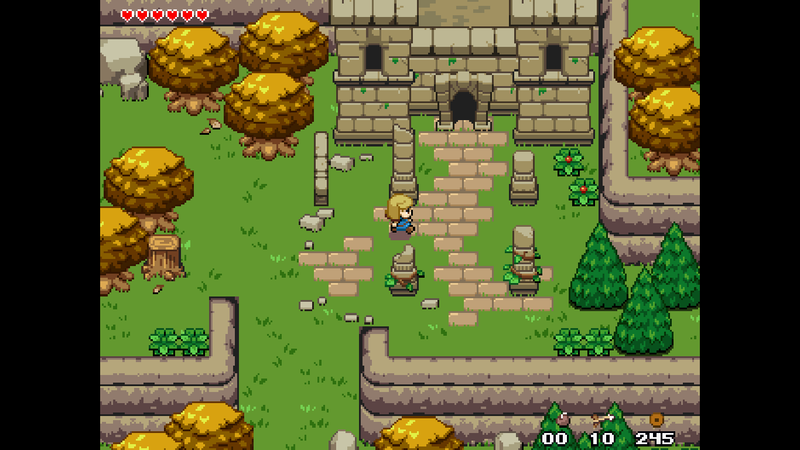 Some of you might remember previous coverage of Solarus, the Free Software Zelda-like ARPG engine that comes with its own complete game creation suite and a pretty impressive palette of Zelda fan games already available under its wing. As of last December, version 1.6 has been released, and while the changes under the hood are too many to number (check the full announcement and changelog here), it is worth highlighting the package now includes a more varied amount of libre tilesets, meaning developers now have available a wider choice of default non-proprietary graphics to use on their own creations. While the community is still very much focused around Zelda fan-games and their respective copyrighted graphics, this is an important first step to attract more developers and spark future libre game projects. The Ocean's Heart tileset, now part of the Solarus package. One such project is Ocean's Heart, the brainchild of Solarus community member Max Mraz. 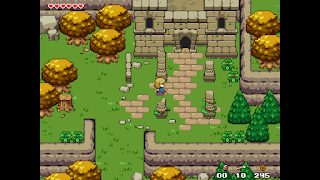 The game follows a gameplay structure similar to classic Zelda games transported to a Viking age-inspired setting. It features an entirely original story and a beautiful pixelated tileset, which Max was kind enough to license under a Creative Commons license for integration with the Solarus suite. Upon completion it will become the first true libre Solarus-made ARPG in code and assets, which makes for very exciting news. Stay tuned for further developments on this, and be sure to check the Solarus website for news on their upcoming game projects, along with complete instructions and tutorials on how to create your own game using the development tools.